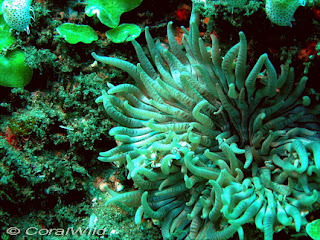 Stretching north along the coastline from KwaZulu-Natal (South Africa) into southern Mozambique are some of the most beautiful coral reefs in the Indian Ocean. They are generally deeper than 12 metres which means that although snorkeling is very limited, the reefs have mostly escaped the catastrophic effects of the major El Nino-related ocean warming events of the last 15 years. 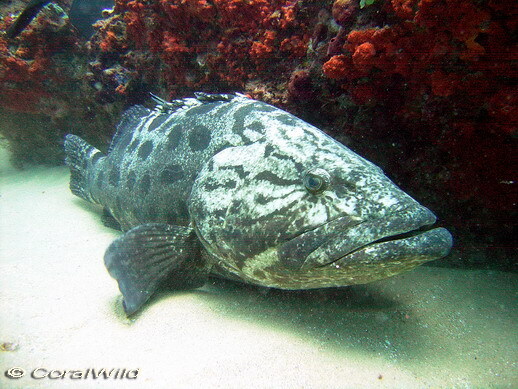 In South Africa the reefs have been protected to varying levels for many years now, and in Mozambique MPA’s are in the process of being implemented. 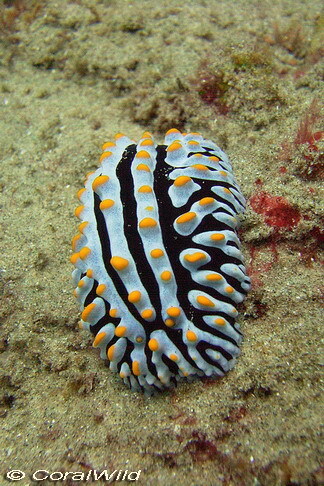 This means that some awesome diving can be had if one is prepared to make the long journey to Sodwana Bay, Ponta do Ouro and beyond. Over the last 4 years I have made several trips to Ponta do Ouro, and recently I have been fortunate enough to work there as a Dive Master during the peak holiday seasons. 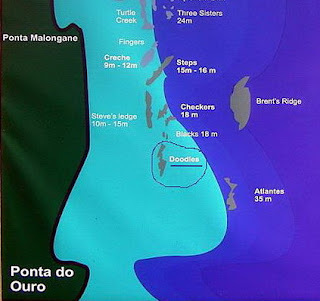 One of the best known reefs of Ponta is “Doodles”. 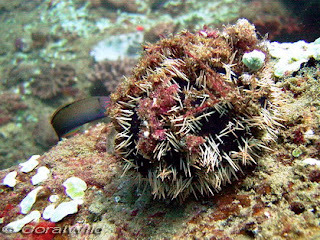 It is about 17m deep and is the closest reef to the Ponta launch beach. So it is very easy to get to! But of course there is far more to Doodles than it’s proximity to Ponta. 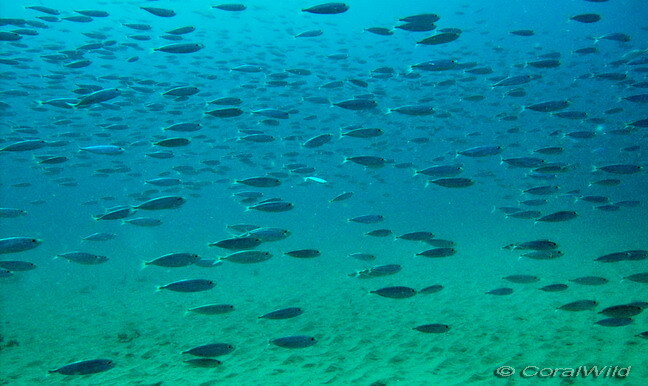 It is in a zone that attracts a lot of shoaling fish. 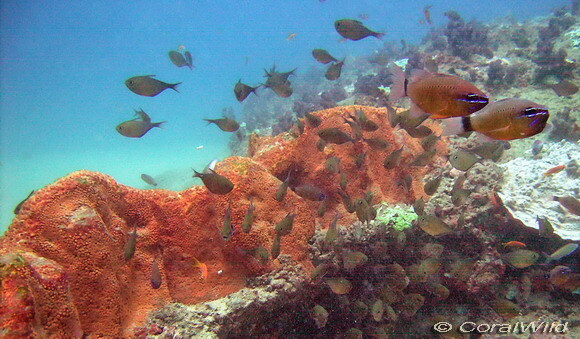 During April one could hardly see any clear water for all the shoaling “bait fish” and during the summer months there are usually small shoals of squid at the northern and southern ends of the reef and always the blue lined and yellow snappers. 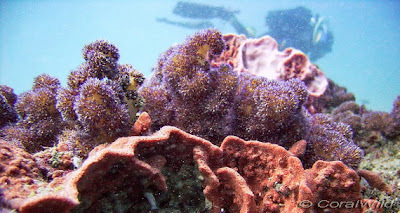 Doodles is not the best reef in the area for hard corals, but it does have some pretty outcrops on the northern side and various impressive sponges and soft corals. 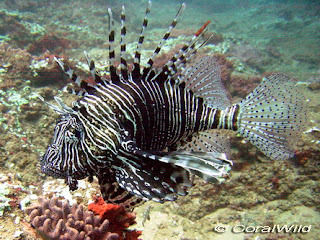 What draws most divers to Doodles are the Potato Bass, sting rays and my favourites, the lion fish. My favourite “drop” on to Doodles is at the northern end. 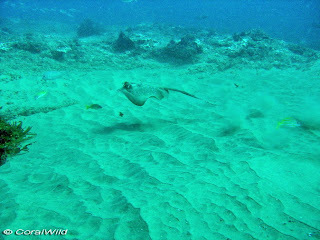 There we descend slowly through clear blue water on to white rippled sand. 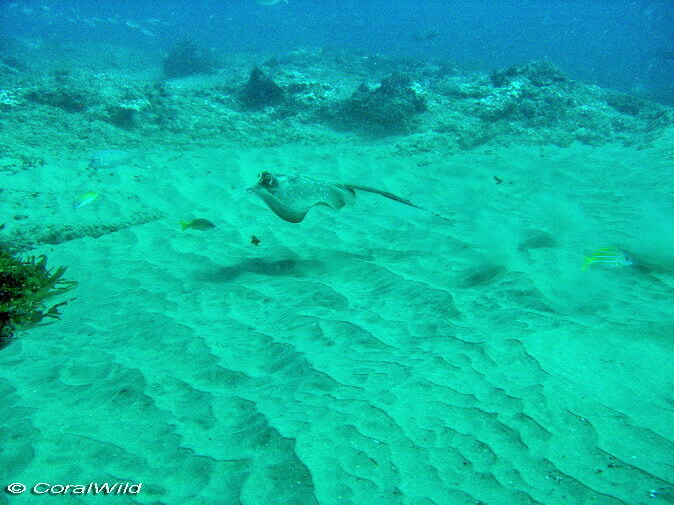 Quite often the Potato Bass, 4 or 5 of them will curiously approach whilst we are still orienting ourselves on the sand, and in this wide open space they look truly impressive. I suppose that because they are similar in size to us they are not shy about approaching, and sometimes the smaller ones get very close. A few months ago, a diver in my group had a small panic when a younger potato bass thought his hair wafting around his head looked rather interesting, perhaps tasty? 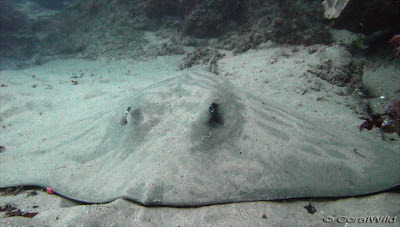 And wouldn’t keep away……..
As we drift with the current towards the reef we start looking out for the blue spotted rays, sting rays and other large fauna. 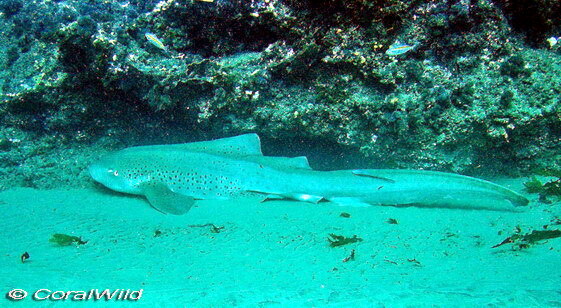 Only two weeks ago we had a large Leopard Shark resting under a small ledge. Not a common sighting in these waters! Of course, as with any coral reef there is any number of smaller creatures to find as one works southwards with the gentle current. A couple of remoras have been hanging out recently, though after a quick inspection they realise that divers are not a good “host”. 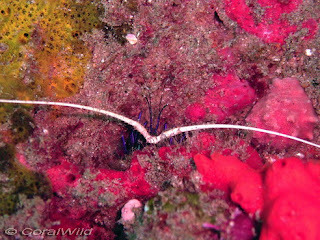 Then there are the nudibranchs, urchins, anemones, shrimps, plus the lion fish and devil firefish around every corner. 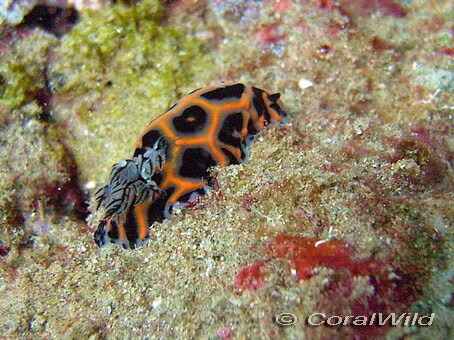 Even in relatively poor “viz” the reef always delights! There is something for everyone. I've just found this post of yours, and what lovely underwater pictures you've taken here - I've never tried this and can't imagine being able to cope with using special equipment to breathe. I can't even cope with snorkelling in a swimming pool! Absolutely lovely pictures. Thanks Caroline for visiting past posts - I discovered the "linked within widget" on your blog - and it certainly has a lot of my visitors reading older posts. 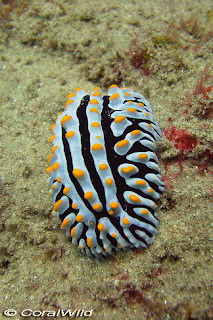 I haven't done any underwater photography for a while, for 2 reasons - 1) most recent diving has been "work" - ie I'm the dive leader and can't really stop to take photos as well, and 2) I'm quite frustrated with my little point&shoot underwater camera now - conditions have to be 100% perfect for decent photos so I keep "forgetting" to take my camera with me! PS I have been diving for 30+ years now (started when I attended Bristol Poly in the late 70's) so being underwater is pretty natural for me now!